The greenbelt referenced is the walkway behind the 18 homes on the east side of Calle Las Colinas (see the aerial view below). A sidewalk runs through the area, and dog owners from within and without Oakridge walk their dogs there, many on a daily basis. There are three bag stations: one in the center and one at each end. 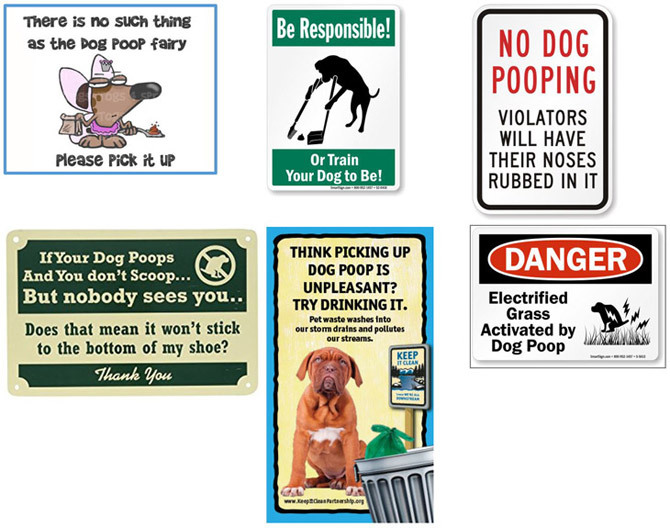 The stations provide bags for dog walkers to pick up their dog’s waste. You would think that most owners would routinely come prepared with a couple baggies and not need to rely on the bag stations. Then, when they weren't prepared and Fido cut loose, they might use a bag from the station. On some occasions both the dog walker and the station might be out of bags; in such an instance, a responsible owner would return within the hour and pick up the dog's deposit. This all seemed logical to me. 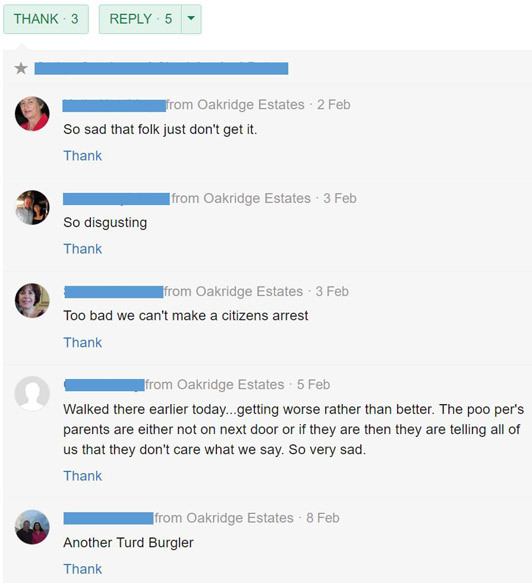 After reading a number of Nextdoor postings about poop on the greenbelt, I wondered, did the complaints have merit? It’s time for a mini-science project, I thought. 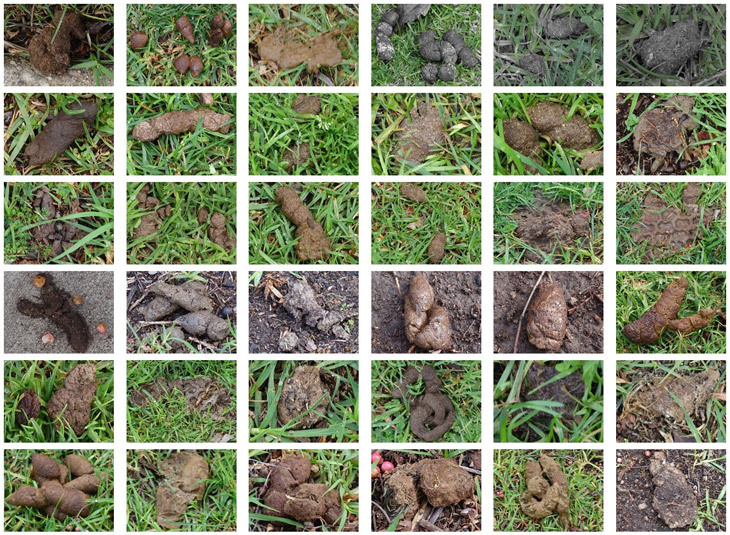 So as an exercise, on February 7, I walked the greenbelt and photographed every pile of dog poop, old and new, steaming and wormy, with and without treadmarks (from mower wheels), on and off the sidewalk. At the end of my walk I had photographed 74 piles! I walked from left to right in the photo below, starting at the bag station (BS) at Calle Alta Vista. As I walked, I photographed only piles on or to the left of the sidewalk. When I reached Cayo Grande Court, I turned around and walked back. The dog pile counts in the four areas I traversed are shown below. You ask, “Are you serious? Well, in fact, the evidence is below. What should we do to combat this mess? Over in the UK, this problem has become such a scourge in the town of Leiston, Suffolk, that one man has taken it upon himself to literally clean up the streets. 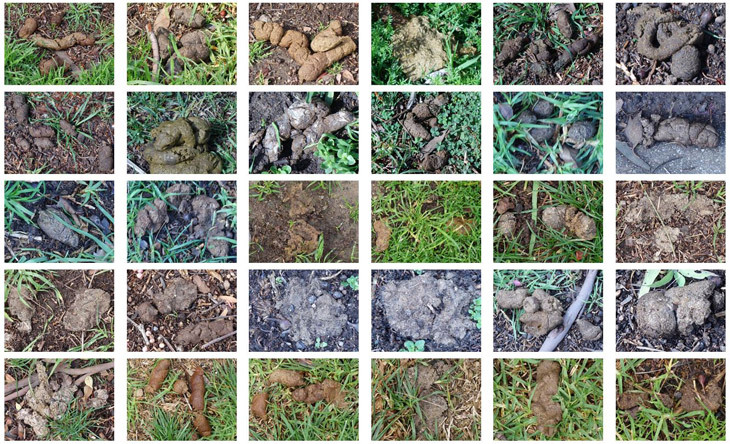 Andrew Hawes, a fed-up father of four now known as “The Turdinator,” has taken it upon himself to shame those who don’t pick up their dog’s poop. 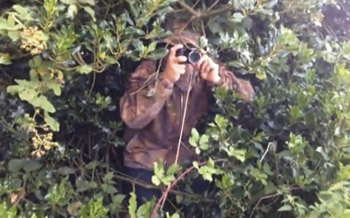 Dressed in full camouflage, Hawes hides in the bushes lying in wait for offenders to come along, then jumps out and informs them that they’ve been filmed and that if they don’t pick up their dog’s waste he’ll turn over the footage to police. I get the impression that this guy stepped in dog crap just one too many times. In addition to his dog-poop vigilantism, Hawes also marks sidewalks in washable spray paint reminding dog owners to pick up after their pets. His story has gotten so much traction that the BBC even picked up on it. "If I have to go to court to explain my actions, if it's saving a child from getting dog mess in their eye and going blind through disease, so be it," he said. Post more aggressive and/or humorous signs. Here’s a sampling. Install video surveillance cameras and then identify and shame any violator by displaying a photo of the dog and the walker. This would be costly because the walkway is over 0.2 miles long. Even if the photo could not identify the walker, a photo of the dog might be enough as dogs vary in appearance more than humans.